Police suspected Neil Fraser was driving under the influence and pulled him over. Although he passed a roadside breath test, a search of the vehicle recovered a tin of cannabis and he was arrested. Fraser (38), 28 Cedar Grove, Stenhousemuir, was taken to Forth Valley Royal Hospital to be assessed, but refused to provide a specimen of blood for examination. 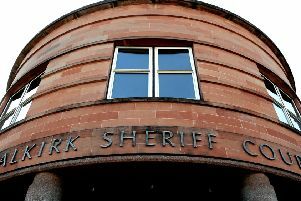 When he appeared at Falkirk Sheriff Court he admitted both charges and had sentence deferred to assess his suitability for a drug treatment order. In court last Thursday Sheriff Derek Livingston was told Fraser had failed to attend and adjourned until May 24 to determine if he is suitable for a tagging order instead.